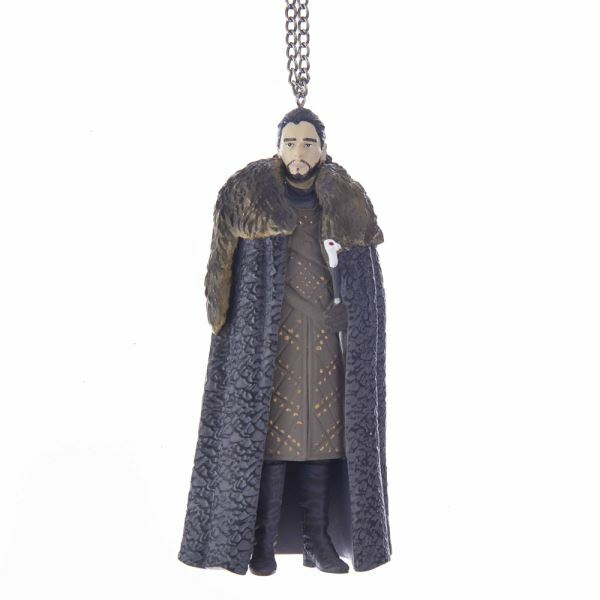 Celebrate your love of all things Game of Thrones with this Christmas ornament depicting Jon Snow. Jon wears brown armor, a long cape and holds his sword, "Longclaw" in hand. Invite the new King of the North into your home. Ornament is boxed for easy gift giving and storage.